Matt Capps, Associate Pastor for Connections at Calvary Baptist Church, Winston-Salem, N.C. shares a word about the global orphan crisis and the role of the church. I couldn’t agree more. Click below to read his whole post and watch a video their church put together for Orphan Sunday. As Christians we are adopted as sons and daughters and God uses us as the vehicles by which he demonstrates his love to a lost world. Think about it, the church is the community that gives the world a foretaste of the renewed creation, when all things will be “made new”. We have the responsibility of living now in light of what will one day be. And, who is more fully equipped to address the global orphan crisis than the church is? Waking to and acting upon God’s call to care for orphans really serves as a powerful agent of discipleship. As our church grows excited about orphan ministry, I see people understanding the character of God more. I feel that we are coming to grasp the love of God more deeply. I also see it growing our understanding of biblical love—that it involves real sacrifice; it gives like God does to those who have no way to pay you back. The impact spills out beyond the Church. People outside our church that you never would have expected are intrigued, asking questions, because they’re seeing the adoptions and care for the foster kids. It really gives the church a more powerful testimony to the community. Here is a list of recommended books related to adoption. Some are personal favorites of our staff and others have been suggested by friends. Consider ordering a few for your church or to have on hand for folks considering adoption. If you are part of a church adoption ministry consider starting an adoption library. I know of a few churches that are highlighting some of these on Orphan Sunday. Adopted for Life: The Priority of Adoption for Christian Families & Churches by Russell D. Moore (Crossway Books, 2009). The gospel of Jesus Christ, the good news that through Jesus we have been adopted as sons and daughters into God’s family, means that Christians ought to be at the forefront of the adoption of orphans in North America and around the world. Moore, who adopted two boys from Russia, charges the Church to see adoption as part of the Great Commission mandate and as a sign of the gospel itself. Paperback, 232 pp. George Mueller: The Guardian of Bristol’s Orphans (Christian Heroes: Then & Now) by Geoff Benge and Janet Benge (YWAM Publishing, 1999). With scarcely enough food or money for his own family, George Mueller opened his heart and home to 30 orphans in Bristol, England. Sustained by God’s provision, the ministry grew from one home to five large houses that ultimately more than 10,000 children would call home. Paperback, 203 pp., ages 9-12. Carried Safely Home: The Spiritual Legacy of an Adoptive Family by Kristin Wong (Faithwalk Publishing, 2005) Nearly six in ten Americans have a significant personal connection with adoption, yet little has been written about the subject from a biblical perspective. Adoption usually includes a tumultuous mix of sorrow and joy, loss and redemption, fear and fulfillment. Though often heart-wrenching, it offers a rich opportunity to draw nearer to God. Adoption can also be a precious part of a pilgrimage toward God. This book is a companion to come alongside those involved with adoption and the blessings found throughout the twists and turns of the journey. Softcover, 224pp. The Connected Child: Bring hope and healing to your adoptive family by Karyn Purvis and David Cross (McGraw-Hill, 2007) The adoption of a child is always a joyous moment in the life of a family. Some adoptions, though, present unique challenges. Welcoming these children into your family–and addressing their special needs–requires care, consideration, and compassion. Written by two research psychologists specializing in adoption and attachment, The Connected Child will help you build bonds of affection and trust with your adopted child, effectively deal with any learning or behavioral disorders, discipline your child with love without making him or her feel threatened. Softcover, 288pp. Launching an Orphans Ministry in Your Church [With DVD] by Jason Weber and Paul Pennington (FamilyLife, 2007). This step-by-step guide gives the principles and practical tools needed to launch an effective church orphans ministry. Includes a vision-casting DVD that introduces you and your church’s leaders to existing church orphans ministries around the country. Paperback, 57 pp. Fields of the Fatherless: Discover the Joy of Compassionate Living by C. Thomas Davis (David C. Cook, 2008). With compassion and insight, Davis shows you how to reach out to the weak and needy—those who are most on God’s heart. Paperback, 192 pp., adult. Available from Amazon.com. from ashes to africa by Josh Bottomly and Amy Bottomly (Tate Publishing, 2009) The bitter taste of ashes was left in the Bottomlys mouths after learning their hopes of parenthood were shattered. Barrenness, regardless of the cause, causes heartache and pain so harsh it seems impossible to approach life again. But for Josh and Amy Bottomly, Africa opened a door to a new life, the life they had dreamed of. Through a little baby named Silas Tesfarmariam, the Bottomlys found their dreams realized. Softcover, 196pp. Castaway Kid: One Man’s Search for Hope and Home (Focus on the Family Books) by R.B. Mitchell (Tyndale House, 2007). Rob Mitchell is one of the last “lifers” raised in an American orphanage. Left by a dysfunctional family in an Illinois children’s home, he grew up with kids who were not friends but rather “co-survivors.” After becoming a Christian as a teenager, Rob found what he was looking for—home and family—in a relationship with God. Rob was able to overcome his past, forgiving his relatives and forging healthy family relationships of his own. His memoir will appeal to adults with difficult pasts, those who work with troubled kids, and anyone who revels in seeing God change a life. Paperback, 272 pp. Silent Tears: A Journey Of Hope In A Chinese Orphanage by Kay Bratt (CreateSpace, 2008). An American volunteer in a Chinese orphanage learns to pull from the hidden strength within her to improve conditions for the children. If you have ever wondered what day-to-day life is like in a Chinese orphanage, this will tell it. If you have ever wondered what it is like to love a child so deeply, even though they aren’t yours, this will tell it. Paperback, 430 pp. Small Town, Big Miracle: How Love Came to the Least of These (Focus on the Family Books) by W.C. Martin (Tyndale House, 2007). On one memorable day, while Bishop W.C. Martin and his wife, Donna, were in prayer together, God gave them a one-word message: “Adopt!” They were called to carry out literally James 1:27. Over the next five years, the Martins would adopt four kids, including two with special needs. Though they didn’t make adoption a “cause” at that time, the members of their church of 200 soon caught the same vision. 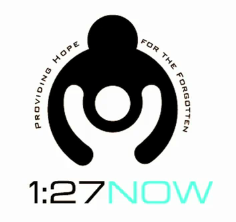 The church has now adopted 72 children and counting. Paperback, 168 pp. The Strength of Mercy: Making a Difference in the World One Child at a Time by Jan Beazely (WaterBrook Press, 1999). Witness God’s compassion as he leads a family to Romania in search of one special child. Watch God orchestrate a dramatic series of events that would bring help and hope to abandoned children around the world. Your faith will be bolstered by this powerful, modern-day example of how God speaks to us and asks us to risk for him. Paperback, 168 pp. Three Names of Me by Mary Cummings (Albert Whitman & Company, 2006). A gentle, sensitive story of international adoption told through the eyes of a Chinese-American girl. The theme of family should interest most children, but adopted youngsters will relate to Ada’s feelings as she considers her past as well as present circumstances. Hardcover, 40 pp., ages 6-9. Successful Adoption: A Guide for Christian Families by Natalie Nichols Gillespie (Thomas Nelson, 2006) Topics include: types of adoption, where to begin, necessary paperwork, finances required – and how to raise them, listing of reputable adoption agencies, building strong bonds with an adopted child, when and how to tell a child she is adopted, the long-term affects of adoption, and God’s blessing through adoption. Book includes practical checklists, timelines, real life stories, sample documents, phone numbers and web-addresses. Softcover, 414pp. Handbook on Thriving as an Adoptive Family: Real-Life Solutions to Common Challenges by David Sanford (Editor), Renee S. Sanford (Editor) (Focus on the Family, 2008) This distinctly Christian book will equip readers to be successful adoptive parents. Packed from cover to cover with information, advice, ideas, and resources, Handbook on Thriving as an Adoptive Family will inspire and inform parents committed to making adoption work. Softcover, 288pp. Dear Birthmother by Kathleen Silber and Phyllis Speedlin (Corona Publishing, 1991) This is the third revised edition of the open adoption classic recommended by the Child Welfare League of America. Gently provocative, warm and convincing, this open adoption guide includes actual letters between adoptive parents and birthparents, and between the latter and the children they have. Softcover. The Adoption Network: Your Guide to Starting a Support System by Laura Christianson (WinePress, 2007) This book walks you through the basics of planning and launching a support system for adoptive families, foster families, birth parents or adoptees. You will learn how to Develop a mission statement Plan a budget Recruit leadership Reach out to the community Create workshops, support groups, social events, mentoring programs and more Packed with practical pointers and worksheets, this handbook will equip you with the tools you need to create a vibrant adoption support network. Softcover, 112pp. The Complete Adoption Book: Everything You Need to Know to Adopt a Child by Laura Beauvais-Godwin (Adams Media, 2005) A thorough resource for couples who want to adopt a child takes readers through each step in the adoption process, from choosing an agency to bringing a child home, and discusses international adoptions, state requirements, medical issues, and other topics. Softcover, 672pp. …cultivating a culture of adoption at DSC by purposefully reflecting on our adoption into God’s family through Christ. …mobilizing couples and families to adopt by offering education and training. …helping to remove financial barriers. …mobilizing the body of Christ to support adoptions by adopting the adopters. …communicating what God is doing through DSC adoptions.